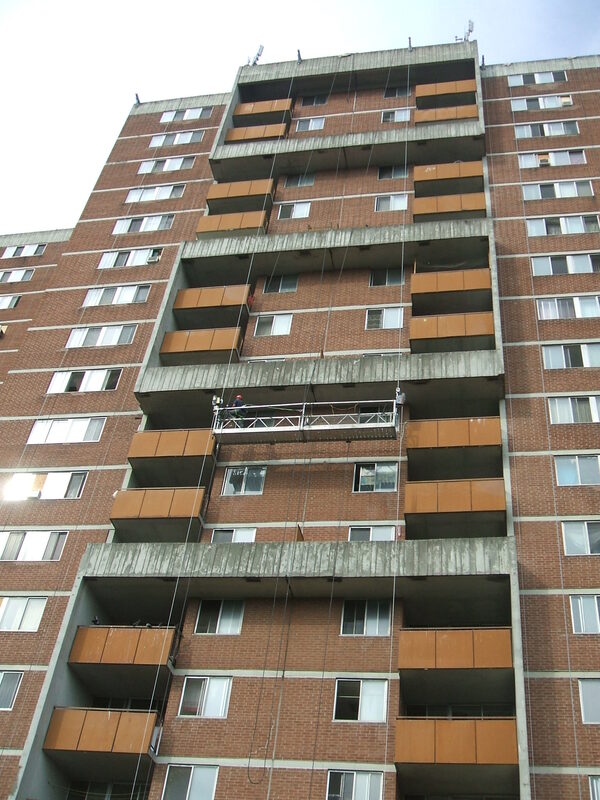 Brown & Beattie Ltd. has a full range of expertise related to the assessment and repair of exterior concrete building components including balconies and shearwalls. 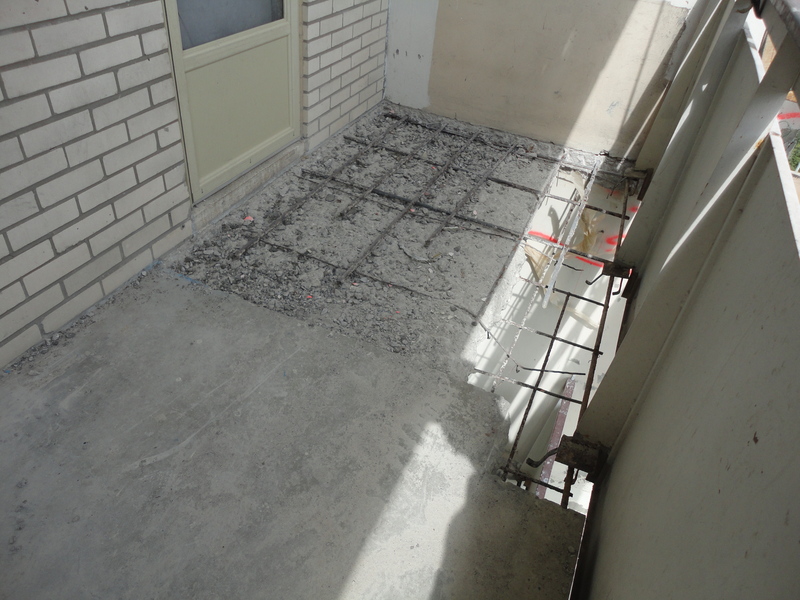 Expertise includes all balcony types such as reinforced concrete slabs and cantilevered open web steel joist supported concrete slabs. 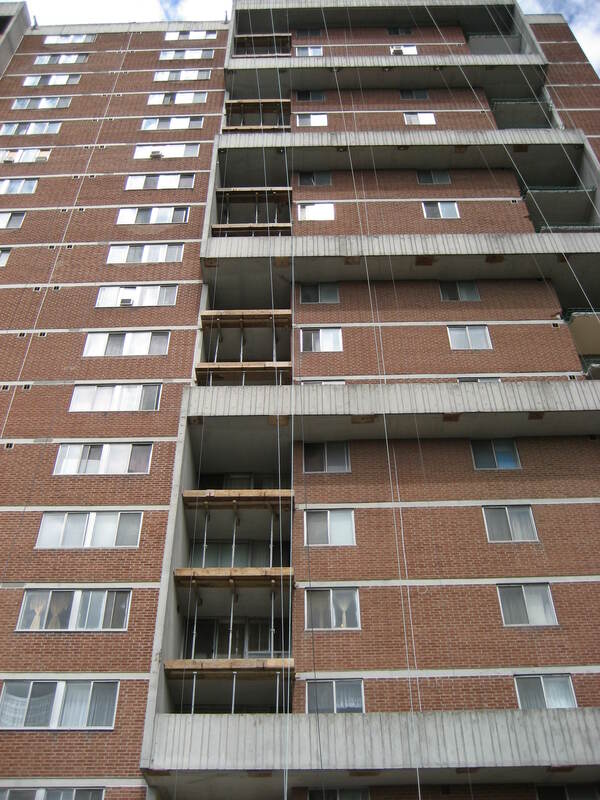 We have also conducted assessments and designed the replacement of wood balconies for low-rise buildings and townhome properties. 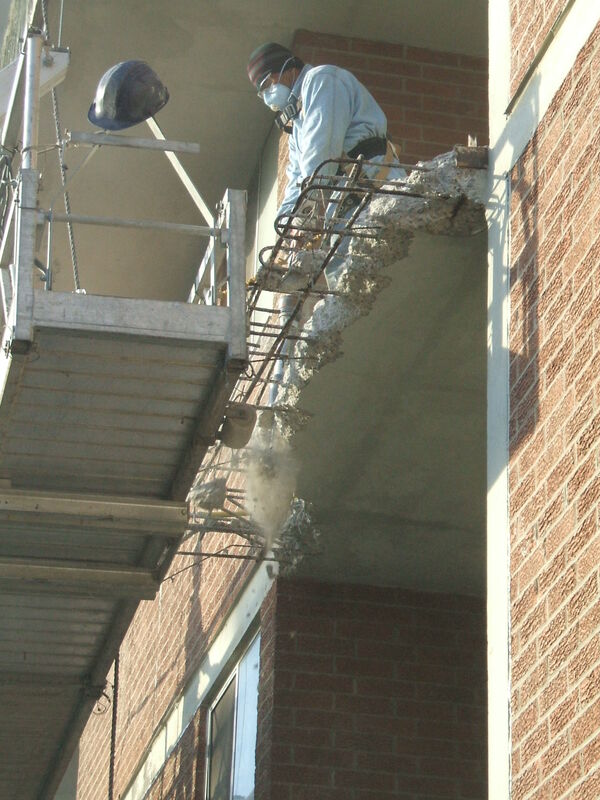 Assessments generally include the review of railings for compliance with Codes and By-Laws. 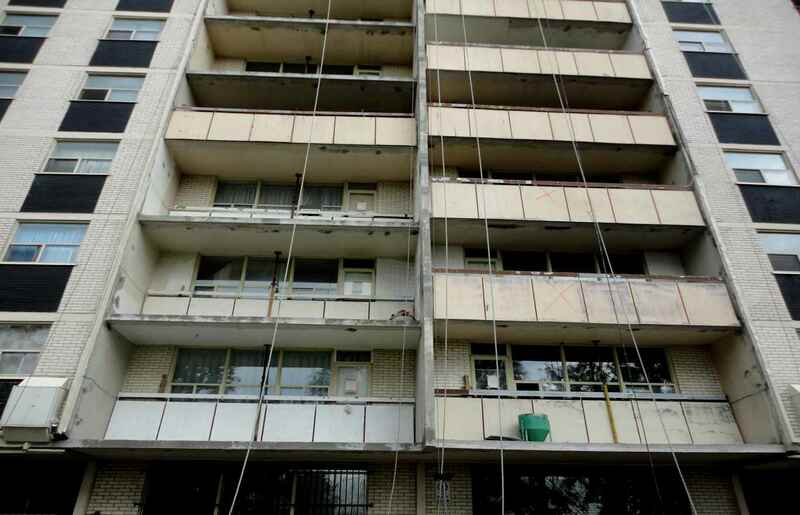 Typical restoration projects have included the repair and complete replacement of balconies and their railing or balustrade systems. 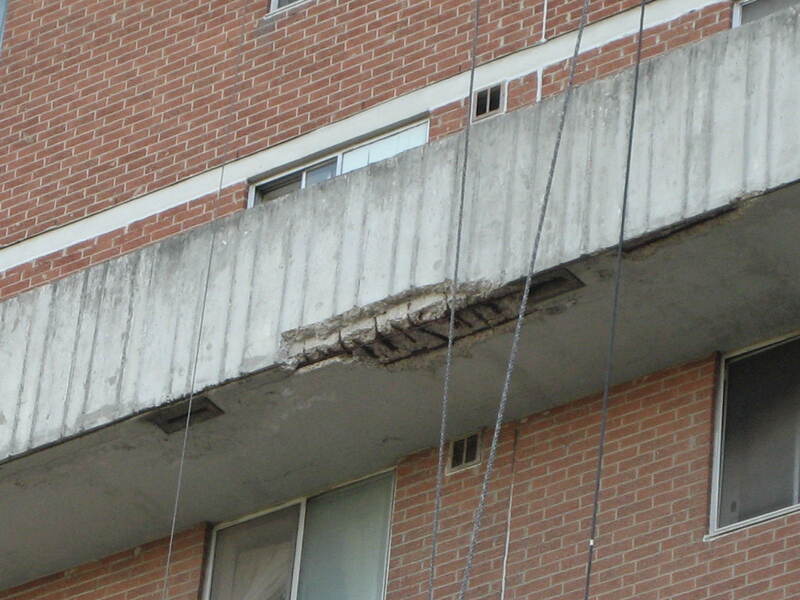 Repair of adjacent concrete shearwalls on high-rise buildings are often included to take advantage available access. 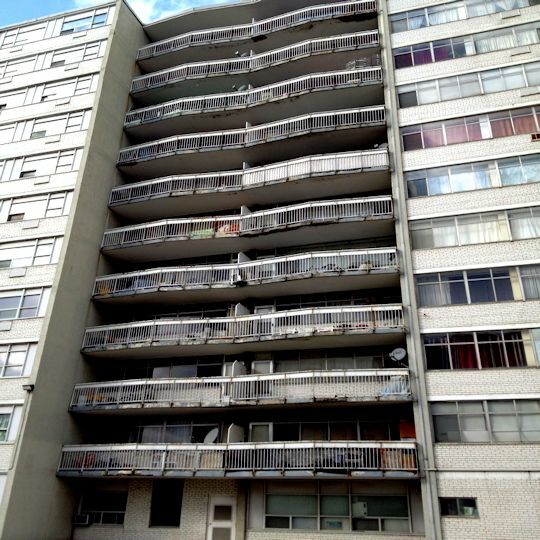 Experience includes steel panel and picket railings, and cast-in-place and precast concrete balustrades. 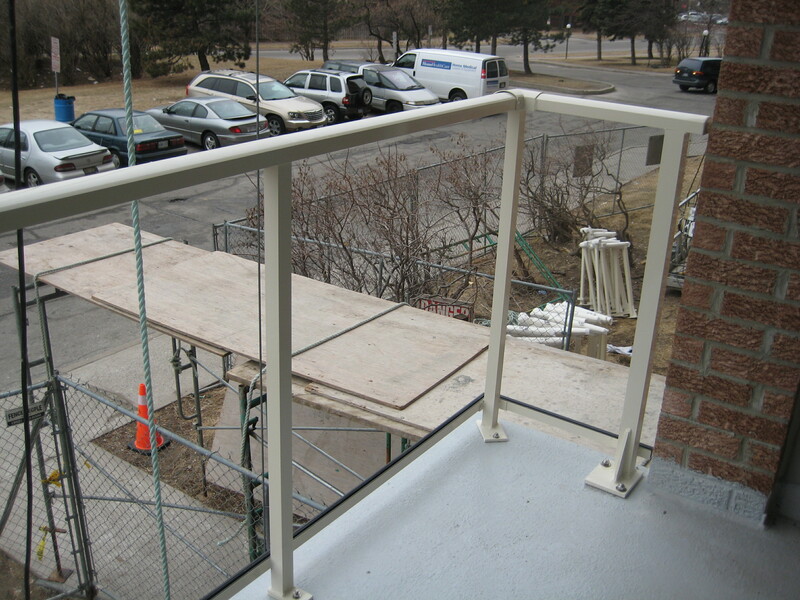 These railing and balustrade systems have been retrofitted to comply with current Building Code requirements and in some instances replaced with completely new low-maintenance aluminum frame systems. 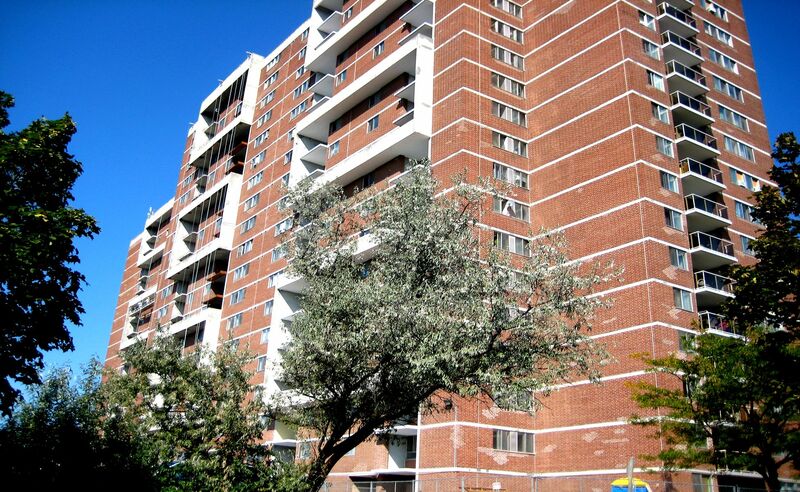 Aluminum systems include flat and corrugated panel, picket and glass panel railings and related combination systems. 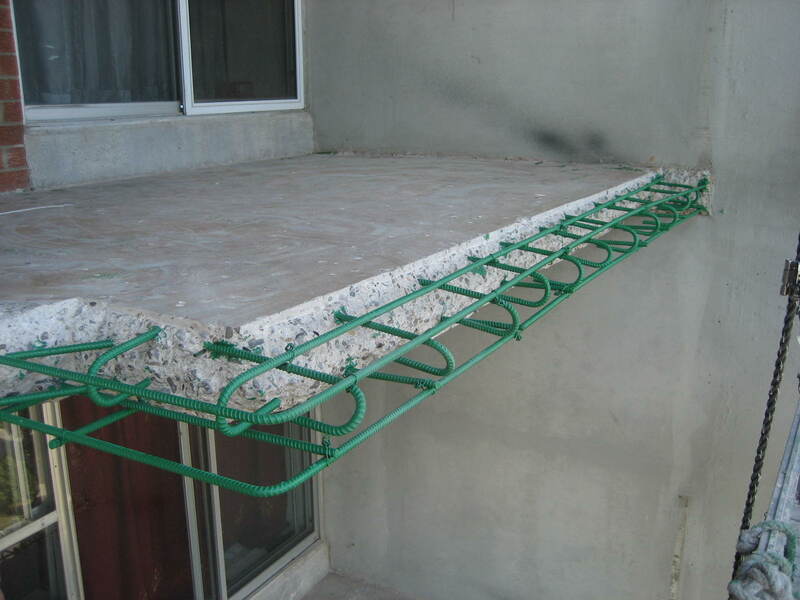 Waterproofing systems are also often designed for balconies to minimize the future maintenance costs. 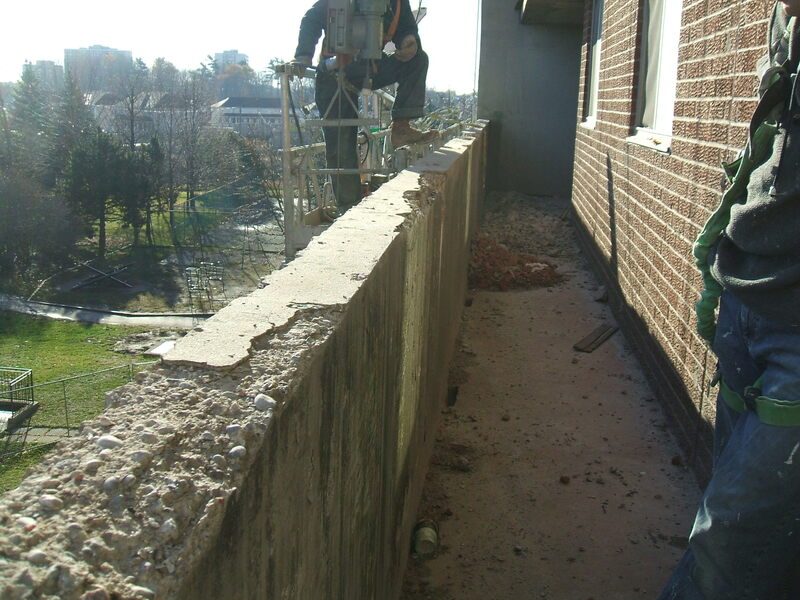 We can provide complete construction and renovation services for Balconies & Shearwalls. 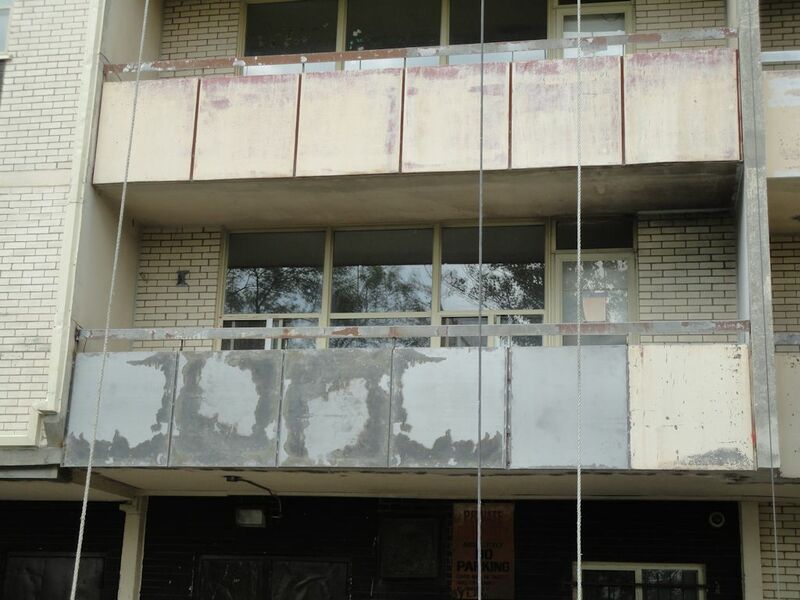 Restoring or reconstructing can greatly benefit the property and the occupants. 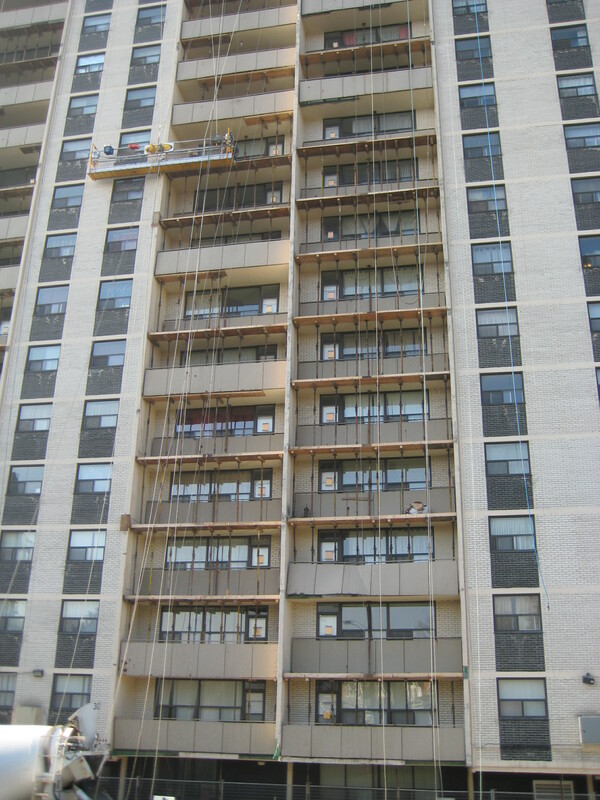 This Scarborough building had an older style steel railing that was replaced as part of the balcony restoration work with an aluminum framed glass panel railing system that complied with current Building Codes and requires minimal maintenance. 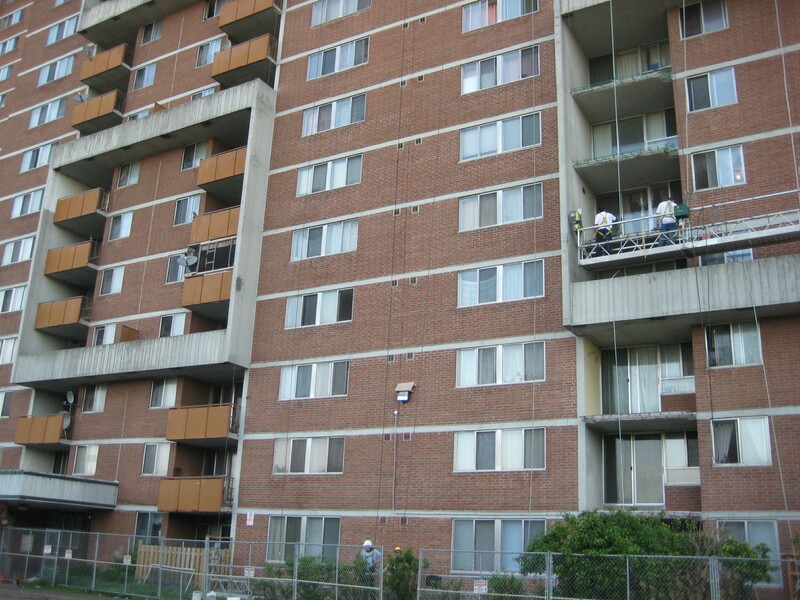 Masonry and sealant repairs were also specified as part of overall balcony restoration to take advantage of economies of scale. 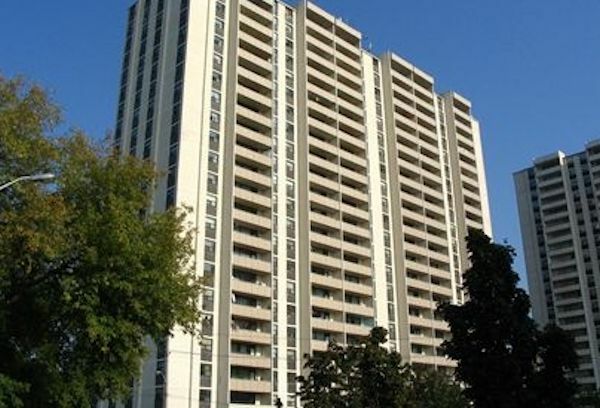 Work also included balcony waterproofing and retrofitting of the drains on the concrete balustrade style balconies to minimize future maintenance. 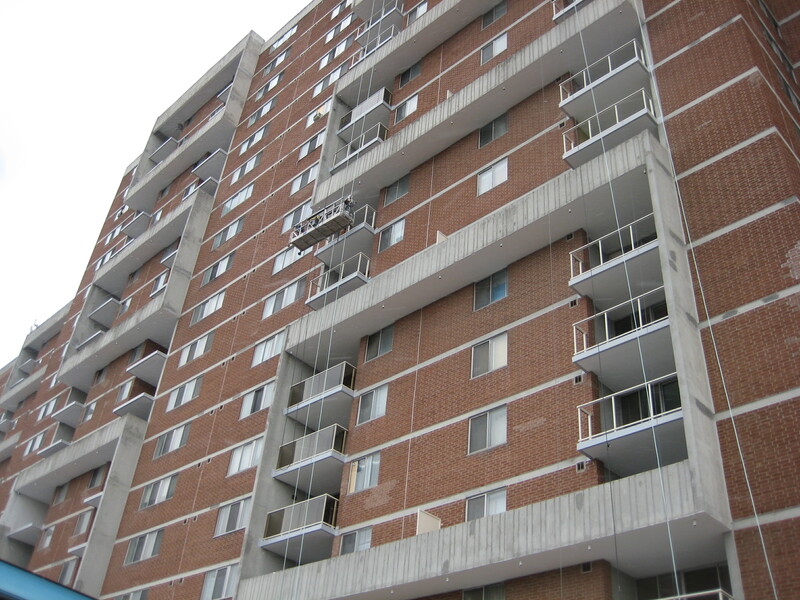 Coordination with the Owner, Property Manager and Contractor during the full restoration of the balconies and masonry walls resulted in a water tight and structurally sound building with improved aesthetics. 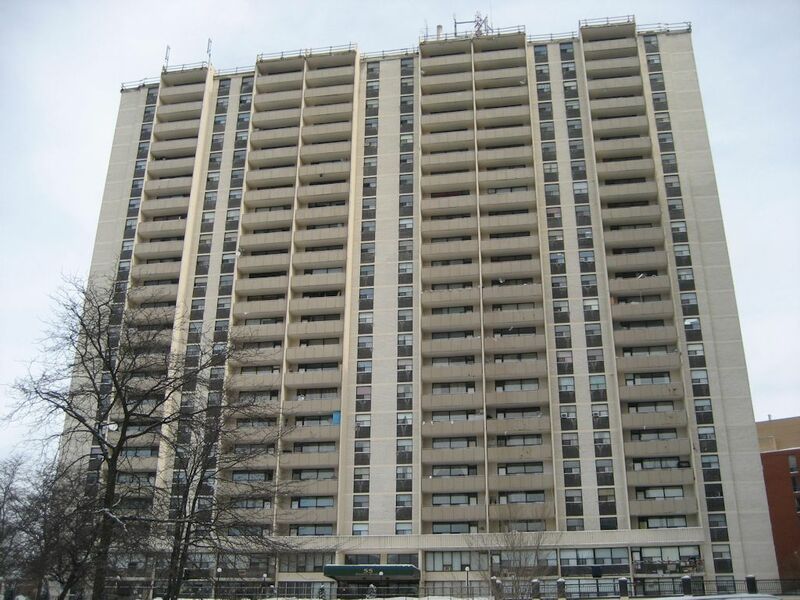 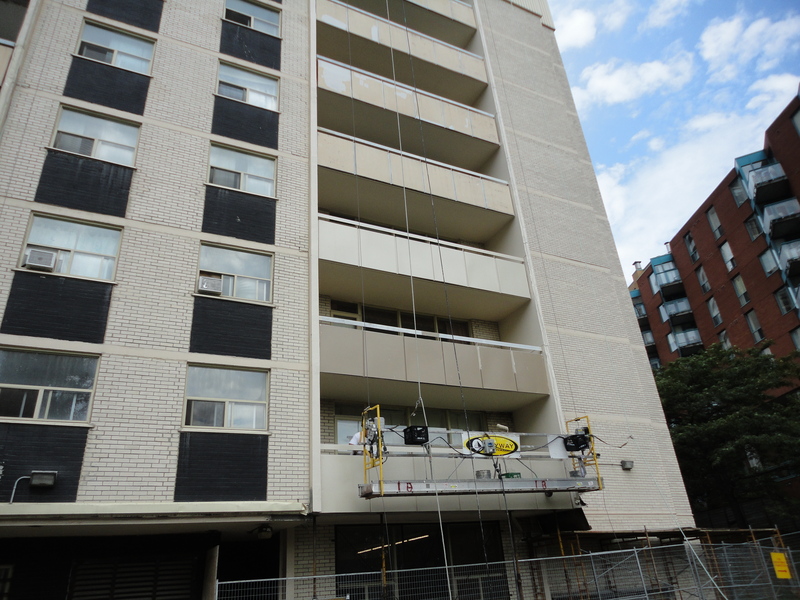 The deteriorating concrete balcony slabs on this Toronto apartment complex were repaired and the existing steel balcony panels locally replaced and repainted to revitalize the building. 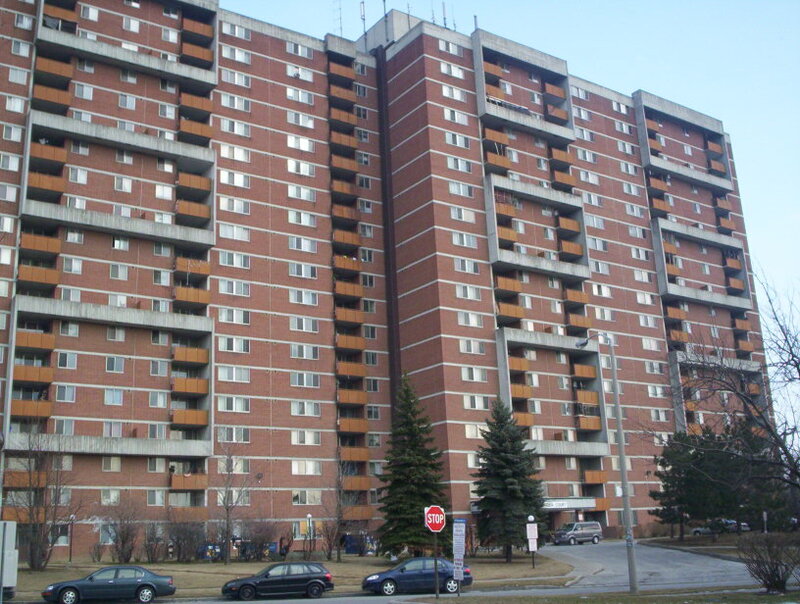 Brown and Beattie Ltd. provided engineering services related to specifications, tendering, construction review and contract administration.